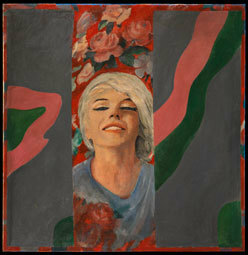 Pauline Boty's Pop Art is bright and bold and fantastic, and this exhibition of her work is not to be missed. The pieces – some of which haven't been shown for 40 years – look at gender, race, politics and sexuality. Boty was one of the key female members of the British Pop Art movement. Born in 1928 into a middle class family of three boys, she was different from the beginning. Many called her 'Pop Art's glamour girl', but Boty's work although controversial, provoking, and political, was largely forgotten. She died from cancer in 1966, and for four decades her work has been ignored. Read into that what you will. British Pop Artists include Eduardo Paolozzi and John McHale, but it is Boty's art that has made waves. Wolverhampton Art Gallery is proudly showcasing the full body of her work for you to go and wonder at.